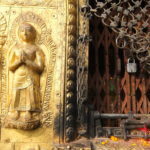 Donna’s presentation is titled “Sacred Security: Threat, Vulnerability, and the Protection of Sacred Art in Nepal”, and is based on a soon-to-be published paper co-authored with Simon Mackenzie. This workshop focuses on ‘Disadvantage’ and its links to RCUK ‘Global Challenges Research Fund’ priorities. Among others the workshop includes presentations on inequality, crime and sustainability. The event is organized by Dr Theodore Koutmeridis and it is co-funded by the British Academy Rising Star Engagement Award (BARSEA) he has been awarded. The event is associated with the ‘Behaviour, Structure and Interventions’ (BSI) research network, the BARSEA Early Career Network on ‘Inequality Conflict and Violence’, the Royal Society of Edinburgh and its Young Academy of Scotland. Please register now – places are limited. For registration please visit the Eventbrite website. Policy Panel – Royal Society of Edinburgh’s / Young Academy of Scotland’s Brexit Report with panelists Dr James Blake (Napier, Creative Industries); Dr Daniela Sime (Strathclyde, Children); Dr Neil McLennan (Aberdeen, Education); Dr Theodore Koutmeridis (Glasgow, Economy). Keynote Speaker – Professor Sayantan Ghosal is a Professor of Economics at the University of Glasgow, where he is also the Dean of Interdisciplinarity and Impact at the College of Social Sciences. He is also a member of the ESRC Capability Committee and a Research Fellow for the ESRC Centre for Competitive Advantage in the Global Economy (CAGE), where he was Research Director. Previously he was a Professor of Economics at the University of Warwick. He has a broad range of research interests including behavioural economics, strategic foundations of general equilibrium, poverty traps, sovereign debt crises, non cooperative models of network formation and political economy. His research has been published in some of the best journals in economics, such as the Economic Journal, the Journal of Economic Theory and the Journal of Public Economics, and it has been featured at the World Bank’s World Development Report ‘Mind, Behavior and Society’. Keynote Speaker – Dr Manudeep Bhuller is an Associate Professor at the University of Oslo, a Researcher at the Research Department at Statistics Norway (SSB) and a Research Fellow at the Institute for the Study of Labor (IZA). Previously he was at the Department of Economics at the University of Chicago. He works on empirical labor and public economics, focusing on inequality, crime, education, labor supply and welfare dynamics. His research has been published in some of the best journals in economics, such as the Review of Economic Studies, the Economic Journal, the Journal of Labor Economics and the Journal of Public Economics.